and Dare are two interesting characters.. Dare knows he is not the man Christian thinks he is and to save her he runs her off. Then he does something really crazy. He goes after her. The story evolves from there. Christian will not go back to what their marriage had become and Dare has to accept that he needs to change. A nice story of Christmas. Not to long and not too short. It is just right. 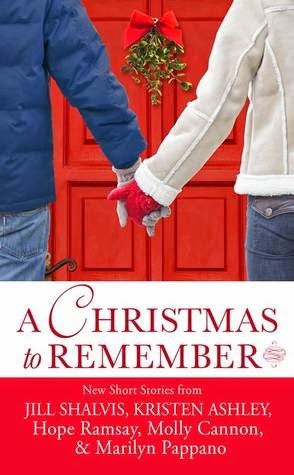 A Christmas to Remember - Five fairly short stories that can read one at a time to satisfy your desire for a Christmas romance and still leave you time for shopping, baking and visiting during the holidays. There are also previews of upcoming novels from the different authors. Pick it up and enjoy. new neighbors but it seems they are destined to be even more but not without problems. I loved both characters. Sadie is just a little strange but Gideon get her. Of course there is a problem. It was fun to see how Gideon worked to get out of contract that he had signed with a very dangerous man. This is a prequel to the new contemporary series by Burrowes. It has the same great writing that you see in Burrowes' historical romance books. Jamie and her PI Duke. This is a cute short mystery with a well-developed plot and some great characters. Jamie's nephew Adam has Asperger's Syndrome and that adds additional tension to the story. I loved book one and have put they series on my must read list. MockingJay by Suzanne Collins - A interesting ending as the Capitol falls and Katniss loses even more of the people she loves. The conflict between Gale and Peeta Mellark grows and after some very unexpected twists ends as Katniss makes her choices. Again the story really stuck with me. caught my attention and I put it on my must read list before Christmas. When Garrison's aunt dies she makes sure he has to find homes for her cats. Alone the way Garrison finds much more than homes for the cats. He finds a place he belongs and a cat of his own. A nice feel good Christmas story. 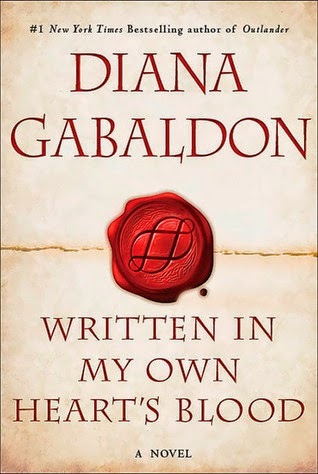 Written in My Own Heart's Blood by Diana Gabaldon - It took part of two months to finish listening to the latest book in the Outlander series. There were 45 disks and I only listed while driving. There are some things that I notice more when listening rather than reading. I found the amount of detail really amazing. The level of research to provide it had to have been massive. It was good to see many of the characters for previous books. The ending left many things unresolved so I am expecting another book in a few years. 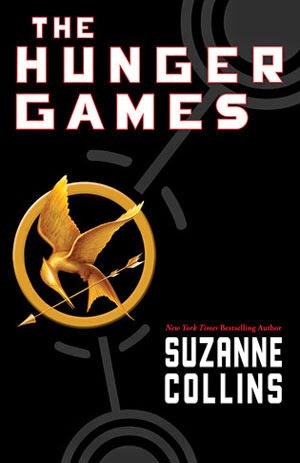 The Hunger Games by Suzanne Collins - I saw the movie when it came out and decided to listen to the book to see how much I missed in the film version. It is a scary intense books. The main character Katniss Everdeen is both strong and weak and both play a part is her story of survival. 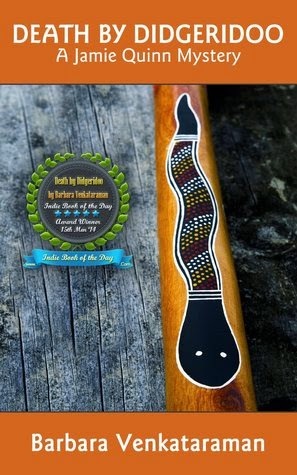 The book got under my skin and I could not get the story out of my head. 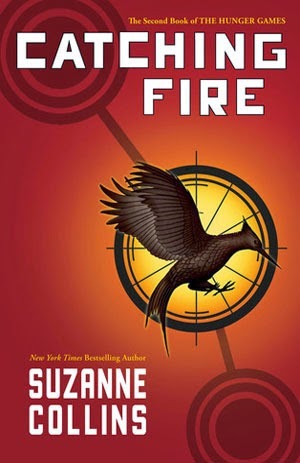 Catching Fire by Suzanne Collins - Katniss has become a catalyst for the rebellion. The Capitol is out to get her and Catching Fire sets up the final conflict. 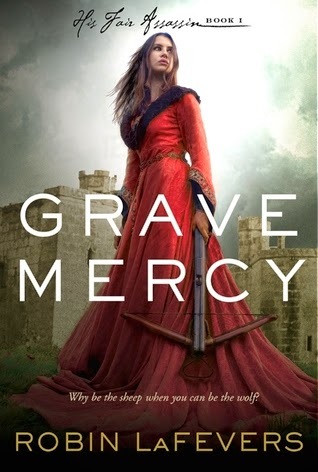 I hated the number of characters that end up dead in the books but once again the story stuck with me. experience with anything by Harris. 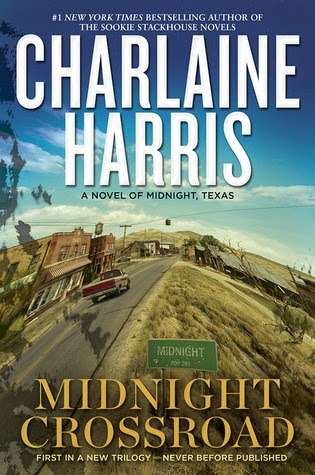 Midnight Crossroad is the first in a new series so I decided to try it and if I liked it I could get in on the ground floor so to speak. I liked the way Harris set up the story. There was a mystery to be solved and I did not have any idea who did it until the end. Everything that happened revolved around the characters in Midnight Crossing and allowed the development of each characters. I think the series has great possibilities and will be looking for the next book when it comes out. I loved Mercenary Instinct and could not wait to visit the Mandrake Company again. Commander Gregor Thatcher was a side character in Mercenary Instinct (he got a small mention only) and Val Calendula is a brand new character in the series. However, the two are not strangers. They met years ago when Val was a cadet and Gregor was one of her commanding officers. Now both have left the military and are part of the Mandarke Company. I think Gregor Thatcher is one of the best awkward male characters I have ever had the privilege to meet. He is brilliant in his field but he just does not get small talk or how to relate to the people around him. He tries so hard to appeal to Val and everything he says just comes out wrong. For me that was his big appeal. It takes being stranded in a very dangerous situation for Val to see him and appreciate him for the wonderful man he really is. The two have to carry Trial and Temptation and they do a very good job of keeping things moving. As always in a series I would have liked to see more of the characters from book one but that did not keep me form enjoying adding Gregor and Val to the list of my favorite characters. The fact that this is primarily Gregor and Val’s story means that it functions well as a stand along story. I still recommend reading Mercenary Instinct first and after you finish these two you can move on to book three The Assassin’s Salvation. 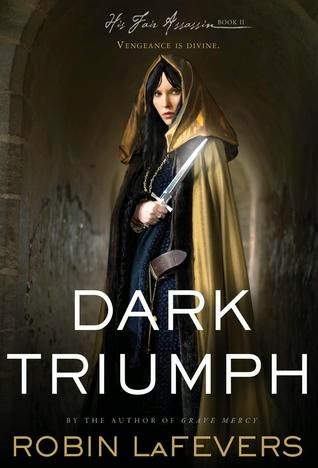 Amazon Digital Services published Trial and Temptation by Ruby Lionsdrake in 2014. • Instead of the above questions, maybe you just want to talk about something else. I have two books started that I am having trouble finishing. One is the third book in a trilogy and another is a stand-alone that is set in the same universe as a previous book I loved. I hate to give up but after several tries I think both will be a Did Not Finish. I really hate it when a book I have been looking forward turns out to be one I do not like. Brilliant investigator Luka Foxe's hidden mental talent is out of control, making him barely able to function in the aftermath of violence, and the body count is rising. The convoluted trail leads to a corrupt pharma industry and the possibility of an illegal, planet-sized laboratory. In the face of increasing threats, he must rely on an enigmatic, lethal woman he just met, but she has deep secrets of her own. Two more lives in a rising death count won’t bother their enemies one bit. Their only hope for survival lies in revealing their dark secrets and learning to trust one another. My expectations were low when I started Overload Flux. It did not take me long to realize how wrong those expectations were. Overload Flux is a riveting adventure that brings two very interesting characters together with unexpected results. Luka Foxe reached too low on a case and now cannot turn his talent off. Mairwen Morganthur is living as low key a life as she can after escaping from the Citizen Protection Service. 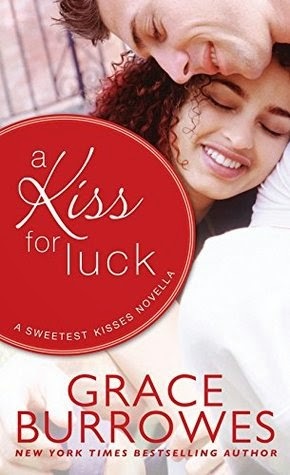 When Mairwen is assigned as security to Luka things begin to happen. I loved both Luka and Mairwen. Mairwen is still struggling to learn how to live in the outside world. Luka is struggling with his talent. It is a surprise to both when Mairwen serves as a calming agent to Lukas. That fact makes Luka want to keep Mairwen near. It does take some persuasion on Luka’s part to make that happen. 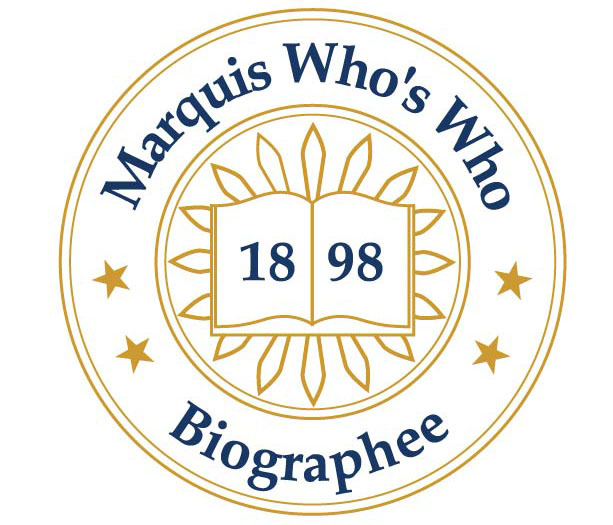 The story is a mystery set in a Science Fiction environment. 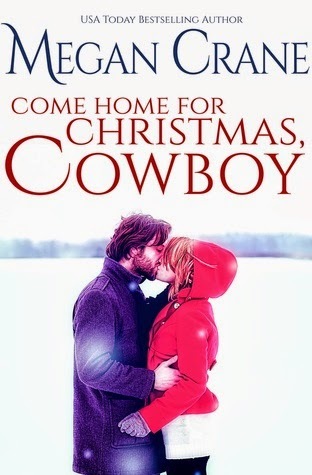 As the book progresses romance develops between Luka and Mairwen. It is skillfully woven into the plot and just becomes one more element in this very well-written book. Luka and Mairwen solve the mystery but the last chapter let’s we the readers know that there is a much bigger problem than could destroy everything. The Ayorinn Forecast played a part in Overload Flux even though we did not learn of it until the very last chapter. I am hoping for future books set in the Central Galactic Concordance Universe. 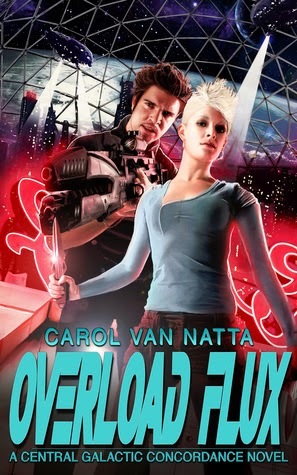 Chavanch Press published Overload Flux by Carol Van Natta in 2014. "What do you mean, she took the diamonds?" He tightened his grip on the cell phone." "To her utter mortification she puked all over his tan slacks and black loafers." From Spirited, A Tidewater Novel by Mary Behre. I picked this one up at the library used book store. I had a bookmark with the book on it that I got in a swag pack so I decided to make a match of the two. The adorable and high-profile Furry Logic series celebrates its 10th anniversary with a menagerie of illustrated animals and hilarious sayings about life, love, and everything in between. No one understands the ups and downs of life's little challenges better than the frisky critters of Furry Logic. The inspirational and tongue-in-cheek advice from series creator Jane Seabrook and her plucky animal characters will tickle the fancy and the funnybone of readers everywhere. Each intricately illustrated spread features a member of the animal kingdom with a unique take on life, from the adorably grumpy owl who advises "Smile first thing in the morning. Get it over with" to the fluffy hawk who admonishes, "If at first you do succeed, try not to look too astonished." So join the original flock of penguins, bears, frogs, and more in celebrating a decade of wit and wisdom with ten new illustrated spreads for fans looking for fresh inspiration. I love the illustrations that Jane Seabrook produces for her Logic books. Furry Logic is no exception. The cat on the cover got me at once and I found other favorites as I read the sayings and looked at the animal that illustrates it. It says a guide to life's little challenges and it really is. Pick this one up and on a down day read it again (really, it is a very easy book to read). It is sure to raise your spirits. JANE SEABROOK is the creator and artist of the Furry Logic series. Known for her paintings of wildlife, Jane cares for her own furry family of three cats with help from her husband and two teenage children. I received this book from Bloggingfor Books for this review. I was away from home from Dec. 10 - 17th attending my son's wedding. I found that I had a lot of down time on my hands as he and his intended were very busy and I needed to stay out of their way as they got ready for the wedding and the trip to follow. 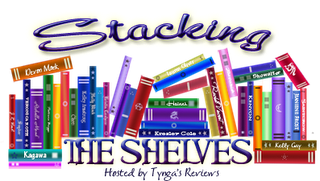 I did come prepared with my eReader's TBR shelf full to overflowing. I put that down time to very good use and read books that I had put off so I could read review copies. I found several new authors to follow as I enjoyed their books. Now I have a backup shelf with books I have read but not reviewed. This is the last Musing Mondays post before Christmas. I hope all of you have a great holiday. Skulking around in the ruins on a planet swarming with treasure hunters, slavers, and bounty hunters isn’t good for one’s health. But Ankari Markovich needs a few archaeological samples for her latest business venture, a venture that might prove lucrative enough to move her family off the impoverished planet where she grew up. Unfortunately, she has no sooner collected her samples than she’s captured by a band of brawny mercenaries. The captain might be handsome, but he’s intent on turning her over to some finance lord who has, for reasons unknown, put a bounty on her head, a ridiculously large one at that. If she can’t figure out a way to escape before she’s delivered to the lord’s home world, she could be forced into a life of indentured servitude—or worse. Captain Viktor Mandrake doesn’t usually take on piddling bounty hunting gigs, but when his intelligence officer informs him of a criminal on a nearby planet, he decides it wouldn’t hurt to take a shuttle down to collect the woman. But Ankari Markovich is trouble from the start, nearly eluding his elite forces, then fighting and tricking his people left and right. 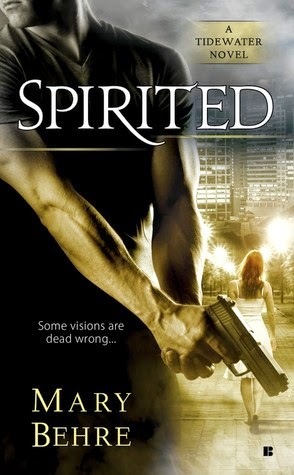 He finds himself admiring her spirit, but according to her warrant, she’s a criminal. The safest thing is to keep her in the brig and ignore her until she can be handed off to the man who wants her. But the situation grows more complicated when other bounty hunters show up, wanting to claim Ankari for themselves. Thanks to this woman, Viktor’s ship is in danger, his crew members are going missing, and he’s fighting enemies he never asked for in a jungle in the middle of a hurricane. He’s either going to strangle Ankari… or fall in love. Either scenario could get him killed. Mercenary Instinct is a full-length, stand-alone novel of 90,000 words. 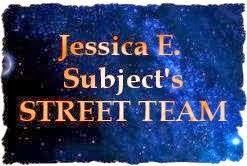 It is part of the “Mandrake Company” series of science fiction romance stories and is recommended for readers who enjoy space-based adventure (such as Firefly) and steamy love stories (in the style of Linnea Sinclair). Mercenary Instinct is a very well written and exciting story that combines Space Opera and Science Fiction Romance. Captain Viktor Mandrake and Ankari Markovich are both great characters that keep the story moving. Starting with Ankari chipping off alien poop and ending with a pink shuttle there is both danger and humor. In between Viktor captures Ankari after destroying her space ship and find that he has a very unusual captive on his hands. This is how I like my SFR. The romance is woven into the plot. You could take the romance out, do a little re-writing and have an exciting Space Opera. With the romance added in you have a story that blends both in just the right amount. This is the first book in the Mandrake Company series. After reading Mercenary Instinct I will be looking for all the books. 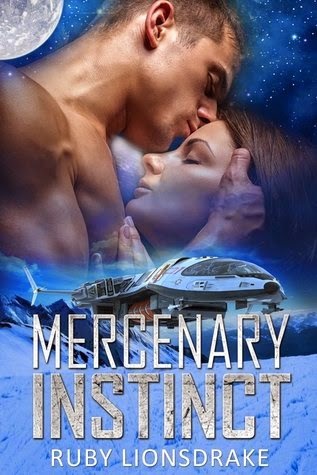 Amazon Digital Services published Mercenary Instinct by Ruby Lionsdrake in 2014. When I looked I found that Mercenary Instinct is free on Amazon. Trial and Temptation and The Assassin’s Salvation (book 2 and 3) are also available for 3.99 each. I spent the last week in Denver where my son got married. Between the trip and my goal of reducing the books I take for review I only got one book during the last two weeks. 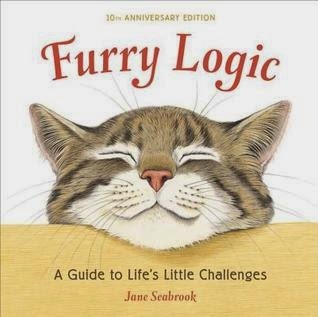 I got Furry Logic, A Guide to Life's Little Challenges by Jane Seabrook from the publisher in return for a honest review. This is the 10th Anniversary Edition and contains some new and some previously published saying and illustrations. 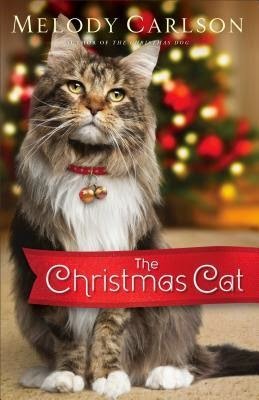 The cat on the cover got me at once. I stare down at my shoes, watching as a fine layer of ash settles on the worn leather." "I told Coin I'd be her Mockingjay. But I made her promise to give the other tributes immunity if the rebels won," I tell him." While the beginning might not give the book away page 56 does. 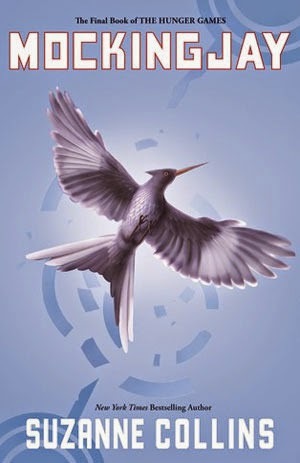 This is from MockingJay by Suzanne Collins. I watched the movie of The Hunger Games when it came out. Then on a trip last week I listen to The Hunger Games and Catching Fire. I drove 26 hours round trip so I got through both just as I got home. I then checked out MockingJay from my local library and finished it in a day. For those of you who have read the books what did you think? I have mixed thoughts about the series. It is certainly exciting reading most of the time. I do hate it when so many of the main characters are killed off. And like others I wondered about why a series about children killing other children is so popular. This is a nice start to a new cozy mystery series. The setting is a little different. Mrs. Rose Kaplen and her sidekick live in the Julius and Rebecca Cohen Home for Jewish Seniors. Using the mystery of why Bertha Finkelstein choked to death on a stolen diamond earring a cast of interesting characters are introduced. In fact the mystery is really just a cover for developing the premise for the series. Rose loves mystery stories especially Sherlock Holmes. When she is the prime suspect in the theft and murder her only choice is to use those stories to solve both the theft and murder. Since Rose is Holmes that made Ida Watson. There is added color in the use of many Yiddish words in the dialog. This is a nice start to a new series. What happens in the next book will be the decided factor is the success or failure of the series. Alibi published Mrs. Kaplan and the Matzoh Ball of Death by Mark Reutlinger in 2014. 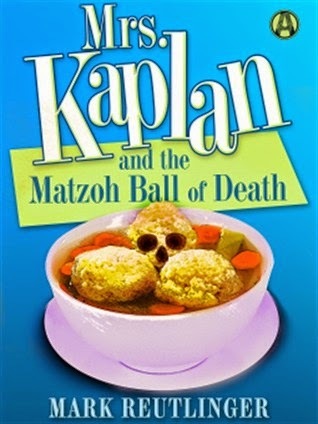 I received a free ARC of Mrs. Kaplan and the Matzoh Ball of Death in return for a honest review. The Democracy is at war with the alien Traanskei Coalition. War hero Colonel Nathan Pretorius has a record of success on dangerous behind-enemy-lines missions, missions that usually leave him in the hospital. Now he's recruited for a near-impossible assignment that may well leave him dead. At the cost of many lives, the Democracy has managed to clone and train General Michkag, one of the Traanskei's master strategists. Colonel Pretorius and a hand-picked team must kidnap the real Michkag if they can, assassinate him if they can't, but no matter which, put the clone in his place, where he will misdirect the enemy's forces and funnel vital information to the Democracy. Against the odds, Pretorius, along with Cyborg Felix Ortega, computer expert Toni Levi, convict and contortionist Sally "Snake" Kowalski, the near-human empath Marlowe, the alien Gzychurlyx, and Madam Methuselah - the Dead Enders - must infiltrate the Fortress in Orion, accomplish their mission, and escape with their lives. The Fortress in Orion is classic Mike Resnick. There is great dialog, interesting characters, a fun plot and world building set in the Democracy phase of the Birthright Universe. (The framework for this universe is set in Birthright: The Book of Man an early Resnick book.) To make this even better The Fortress of Orion is the first book in a new series by Resnick. I loved how Pretorius just keeps everything secret until the last minute and then manages to make it work. The only problem – everything seemed to be too easy in spite of the fact that it had only a 3% chance of succeeding. I am looking forward to seeing what happens when all of the characters are together again. Here’s hoping for many more books featuring the Dead Enders. Pry published The Fortress in Orion by Mike Resnick in 2014. 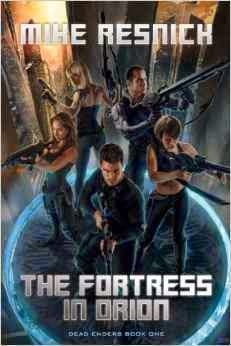 I received a free ARC of The Fortress in Orion from Edelweiss in return for an honest review.